The Toolbox by Eva Solo can stylishly bring order to every room. 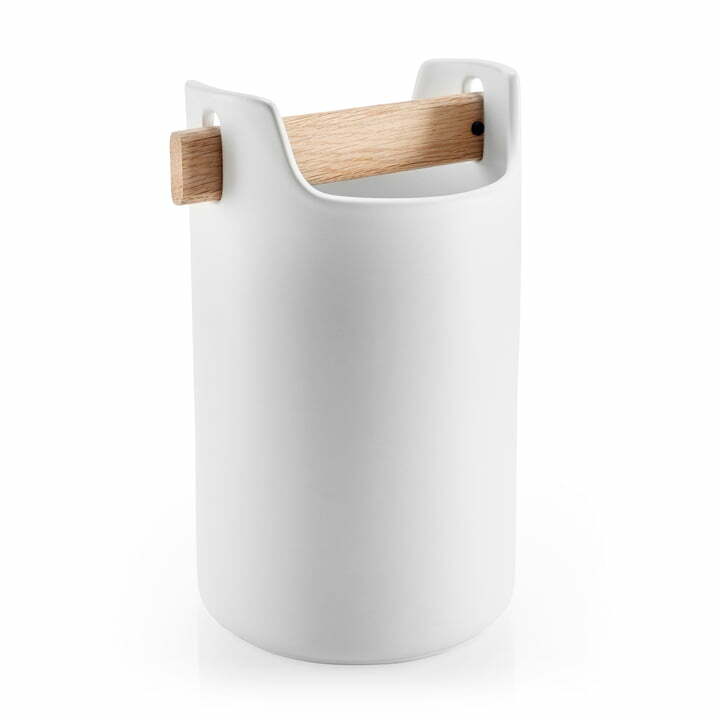 The box made of matte ceramics has a particularly high quality thanks to the elegant wooden handle. 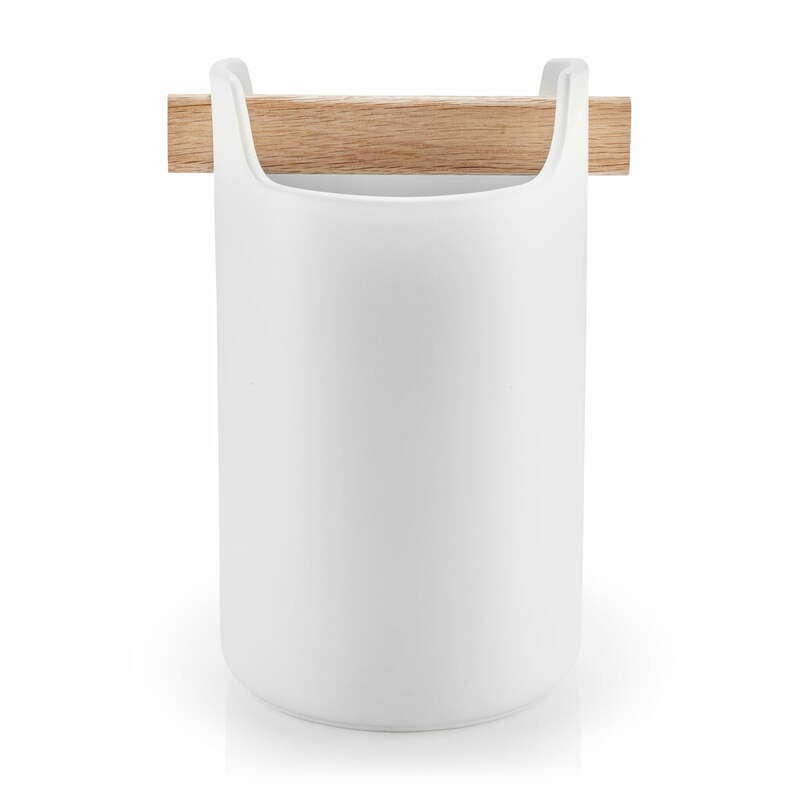 The wooden handle is not only a visual highlight, but also serves as a "partition", to divide cooking utensils, brushes or other things. 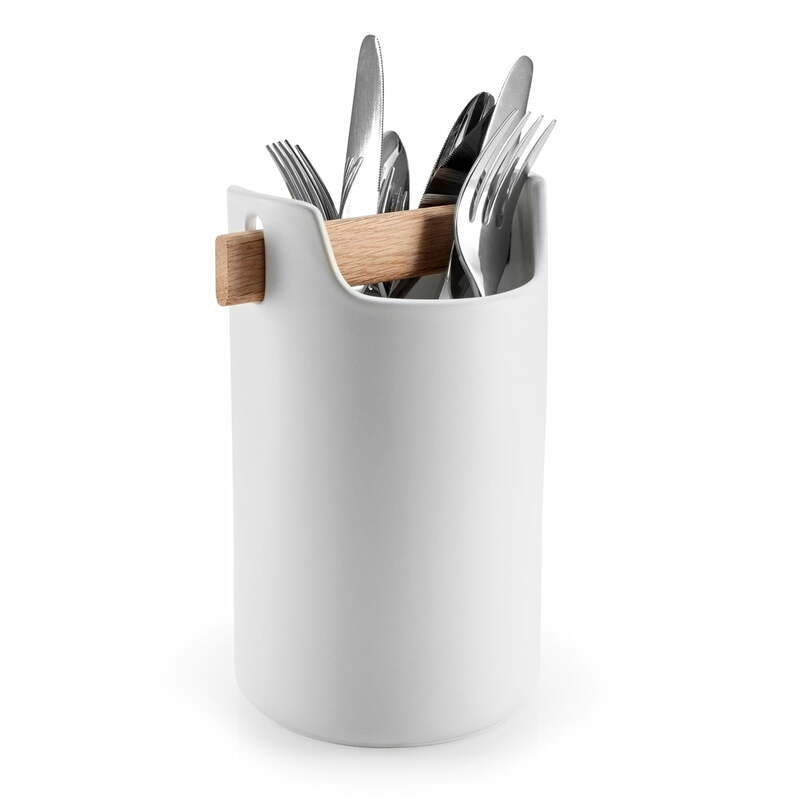 The high Toolbox is ideal to arrange cooking utensils in the kitchen. Spoons and spatulas will fit perfectly as well as cutlery. Cleaning utensils, brushes or sponges can be also be stored in the box. In the study, the Toolbox can serve as a storage container for scissors, rulers and pens.